Can you tell me the secret? This is what I call a hank of yarn. When I purchase a hank of yarn, I make it into a ball, usually a center pull ball. Mr. Aitch holds the yarn with outstretched arms and I wind it into a nice center pull ball of yarn. 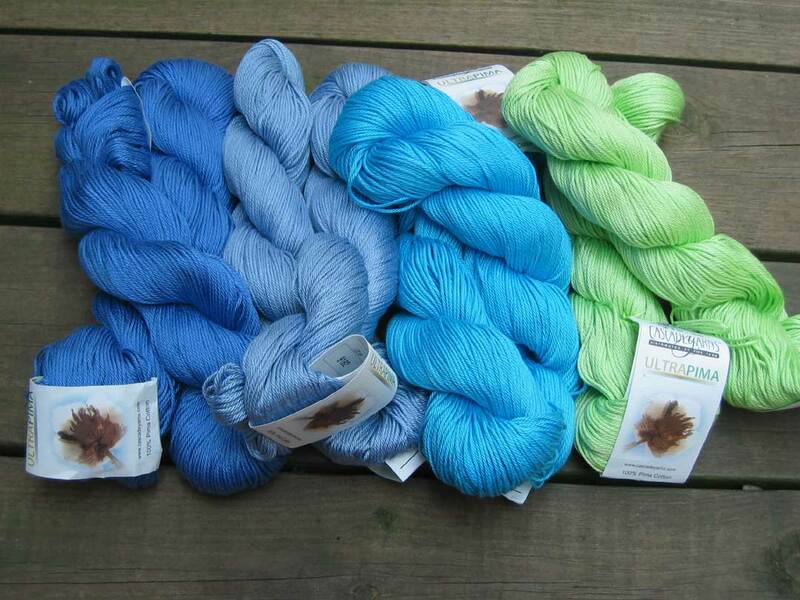 I don’t do that with yarn already in a center pull ball-type skein like these. I think they are ready to go. I usually pull out the middle hoping to find the end but most of the time it looks like it was disemboweled. What’s the secret in finding the end of the yarn in the center of a skein of yarn? Or do I have it all wrong? Should I rewind these into my own ball so I can pull the yarn out from the center? I always roll this kind into a ball. Finding the center pull often takes more time than the actual project. How do you make a center-pull ball? Normally the center yarn end is also out of the center hole, but pulled tight so you may not see it. However, like everything else in this world, they may have stopped bothering to help us with this small favor. I rewind all yarn for two reasons. I have a carrier that keeps the yarn clean by containing it all except for the end which is attached to my project. Also, I like to look at the yarn and rule out any problems, like attachments, or sometimes even wads of roving that were missed by the inspector. And to be honest, I love the smell of wool yarn. The smell doesn’t last forever and is best when you first wind it. That’s a fun part for me. 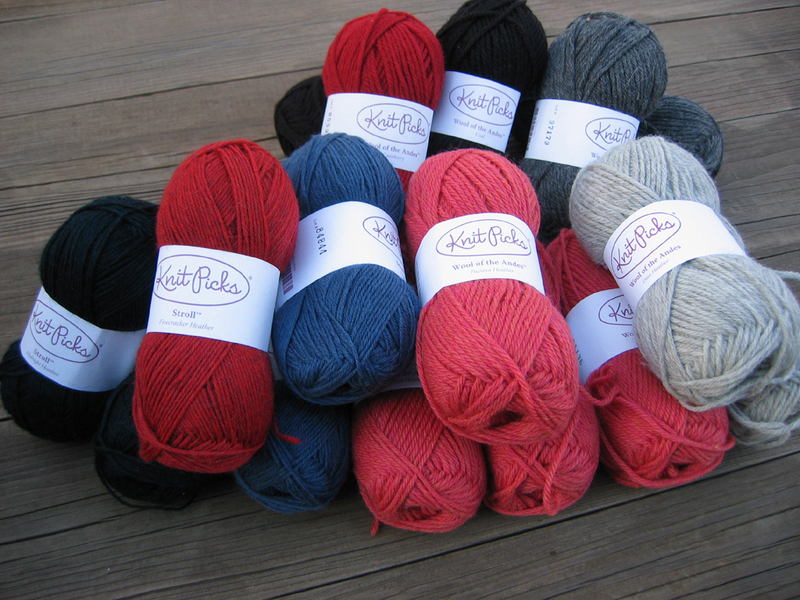 Your colors are lovely, and I am truly the last person on earth that should be giving out yarn advice. I’m no expert, and I have way more yarn than I’ll ever use because I have such an attraction to the look and smell of it, I keep buying it. I need to join a knitting club. …get some projects finished. No secret! Sometimes you win (getting the yarn out neatly) and sometimes you lose (disembowoled). Disemboweled. I love it. 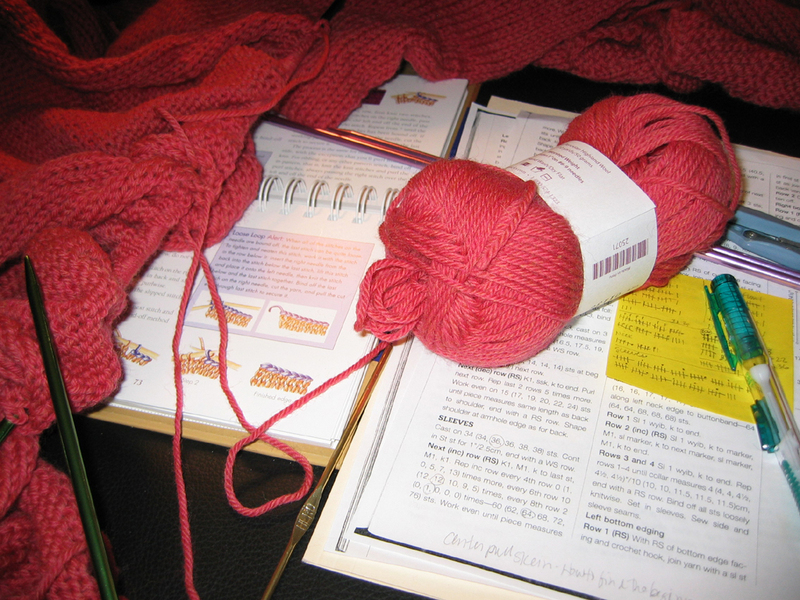 On that Knit Picks yarn, I typically just go with it and don’t worry that it is not center pull. I know what you mean about finding the center though – that can be such a pain.